Gulf Craft’s Flagship Majesty 155 entering the Cannes Port for the Cannes Yachting Festival. 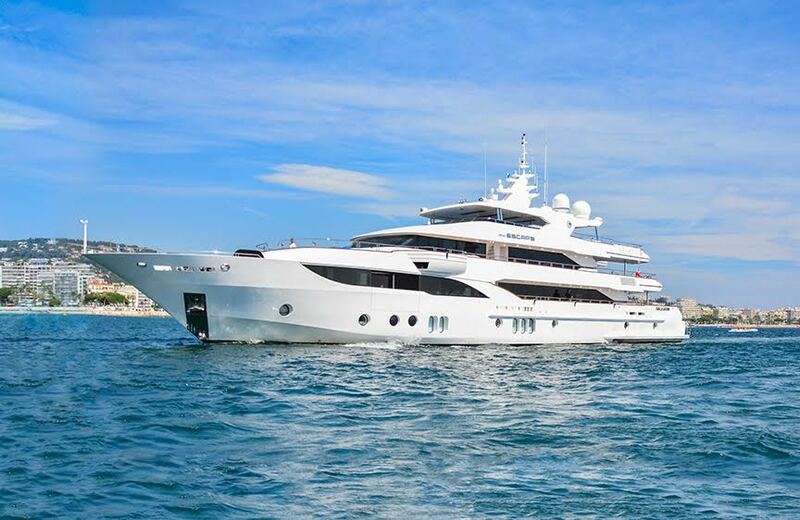 Cannes, France: Gulf Craft’s flagship superyacht, the Majesty 155, mesmerized guests on the first day of the Cannes Yachting Festival, captivating visitors with its grand presence along the sparkling shores of France. Also standing in all its glory beside the Majesty 155 is Gulf Craft’s newest tri-deck masterpiece, the Majesty 110, yet another European debut that offers owners three-decks of copious, semi-customizable space. “Europeans have always been intrigued by the idea of venturing out to sea. However, today, ‘value’ has become the mantra of the market – customers want to know if you can give them more for their investment,” Bamps said. Guests can visit Gulf Craft at stand number SYE-232 at the Cannes Yachting Festival, which takes place at Vieux Port from 6 – 11 September 2016.